KTH Royal Institute of Technology, Sweden is inviting excellent candidates to apply for a PhD position in analytical chemistry. Successful candidate will have funding to work and study for two years in Sweden. The deadline to apply is January 16, 2019. Lignin, a naturally abundant, phenolic biopolymer, could replace fossil-based phenols that today are used in material synthesis, e.g., the manufacture of plastic material. The structure- and size distributions of lignin, however, are severely modified by the extraction conditions applied to date, leading to a heterogeneous product that cannot be used directly for material synthesis. Accordingly, two doctoral projects are proposed; The first investigates the structure of the native lignin in wood. Mild methods for lignin extraction from the fiber will be developed in parallel with bio-mimicking synthesis of lignin, were extraction is circumvented. Overall, this study will provide the missing knowledge of lignin structure that is required to develop selective methods for its extraction in suitable state for material synthesis. The second project will focus on the development of processes to produce homogeneous lignin fractions that are better suited for material synthesis than the existing ones. Emphasis will be put on green chemistry, and thourough characterization, including 1D and 2D NMR, GC MS, LC MS, GC FID for structural determination. Characterization of lignin is a unique strength in our group, guaranteeing high quality in the projects. The appropriate background for both positions is a master's degree in macromolecular materials, chemical science and engineering, analytical chemistry, biotechnology or equivalent. The possibility to study in a dynamic international research environment in close cooperation with industries and advanced universities the world over. Life-long network through KTH’s Alumni organization. A personal study plan to support your development within your areas of interest. 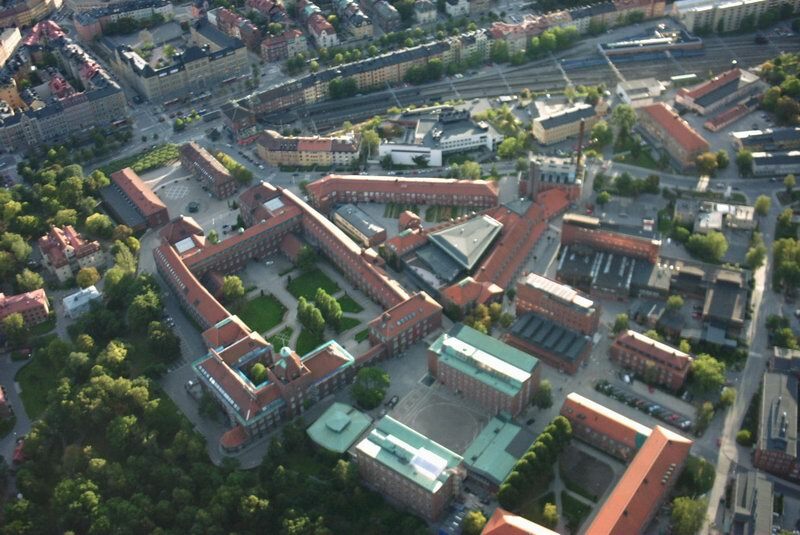 A workplace with many employee benefits and monthly salary according to KTH’s doctoral student salary agreement. Work and study in Stockholm, one of Europes fastest growing capitals, which is close to both nature and the sea. Help to relocate and get settled in Sweden and at KTH. Membership in the graduate school WWSC Academy, where ca 60 PhD students have been educated over the last 10 years and afterwards found attractive jobs both in academia, start-ups and industry. passed a degree at advanced level, completed course requirements of at least 240 higher education credits, of which at least 60 higher education credits at advanced level, or in any other way acquired within or outside the country acquired essentially equivalent knowledge. ability to independently pursue his or hers work, ability to collaborate with others, have a professional approach and analyse and work with complex issues. The applicant must be able to speak and write scientific English, speak English fluently, have tolerance, and be positive. The applicant should have documented skills in summarizing research results in written and oral presentation. CV including your relevant professional experience and knowledge. Application letter with a brief description of why you want to pursue research studies, about what your academic interests are and how they relate to your previous studies and future goals. (Maximum 2 pages long) Copy of the degree certificate(s) and transcripts of records from your previously attended university-level institutions. Translations into English or Swedish if the original documents are not issued in one of these languages. Representative publications or technical reports. For longer documents, please provide a summary (abstract) and a web link to the full text.